Oh. My. Goodness. Marie Lu, you are Queen. 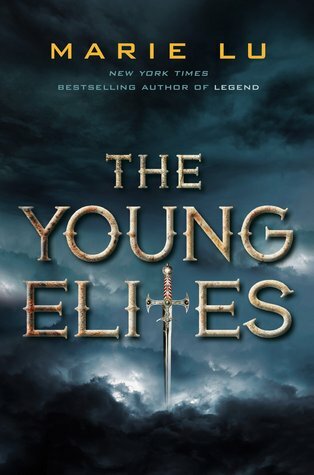 I read The Young Elites about a year ago and absolutely loved it. I just reread the book in anticipation of the third book in the series and it was even better than I remembered. Lu creates such an incredibly complex world with deeply twisted and entertaining characters. Adelina Amouteru is a survivor of what the country calls "the blood fever" and she is left with a permanent scar. She is also left with a strange gift that she discovers in unfortunate circumstances. She is forced to run from her home land and is given the opportunity to join a community of others with special abilities, called the Young Elites. As the days pass with the Young Elites, Adelina is forced to ask herself if she can trust them. Lu created such a magically dark work where the readers have to constantly ask themselves who is a good guy and who is a bad guy. Adelina is such a strong female lead, attempting to find herself in her new abilities all while trying to fit in and save the ones she loves. I just love this story and how it is so different from every other book out right now. There are no cliches and there isn't a single part of the story where you can say, "I saw that coming". 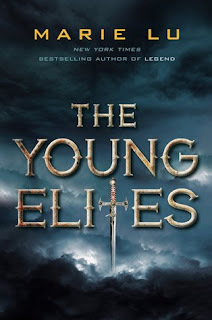 If you are in the market for a young adult book with lots of twists and turns and maybe a few "anti-heroes", then The Young Elites is for you! Pick it up now and read the first two books in the series before the third hits the shelves in October.